A new website and exhibition explore the dramatic events of 1938 from the perspectives of ordinary people. This opening reception will feature Marsha L. Rozenblit, Harvey M. Meyerhoff Professor of Modern Jewish History at the University of Maryland. 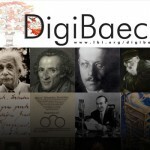 DigiBaeck: German-Jewish History Online. A free talk celebrating the launch of LBI’s digital archive. To celebrate the launch of LBI’s digital archive, DigiBaeck, speakers Brewster Kahle (Internet Archive) and Nicholas Felton (Facebook, Daytum.com) and a panel moderated by New York Times Reporter Claudia Dreifus address the implications and possibilities of putting 3.5 million pages of primary source-material related to German-Jewish history online.